WASHINGTON -- Donald Trump will make a surprise trip to Mexico on Wednesday to meet with the country's president hours before delivering a highly-anticipated speech on immigration. Trump says on Twitter that he looks "very much forward" to meeting with President Enrique Pena Nieto. 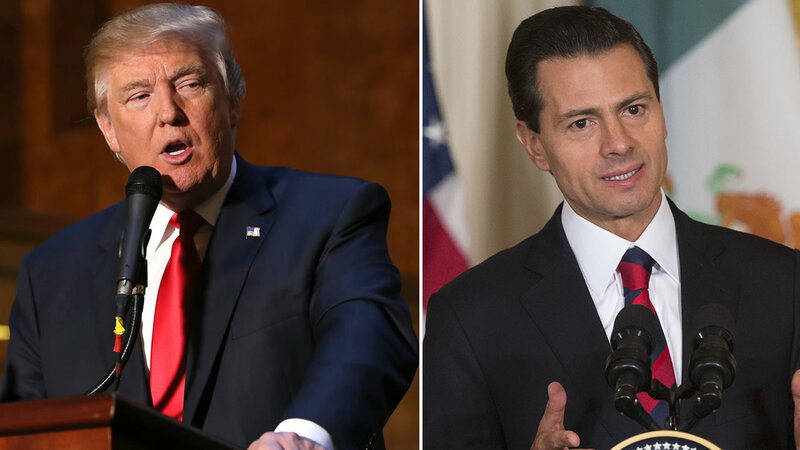 The Mexican leader had invited both Trump and Hillary Clinton to visit Mexico. Pena Nieto's office says in its own tweet that the two men will meet in private Wednesday. Trump has made illegal immigration and his call for a wall along the U.S.-Mexico border a centerpiece of his presidential campaign. Pena Nieto has been sharply critical of Trump's insistence that Mexico would pay for a border wall.